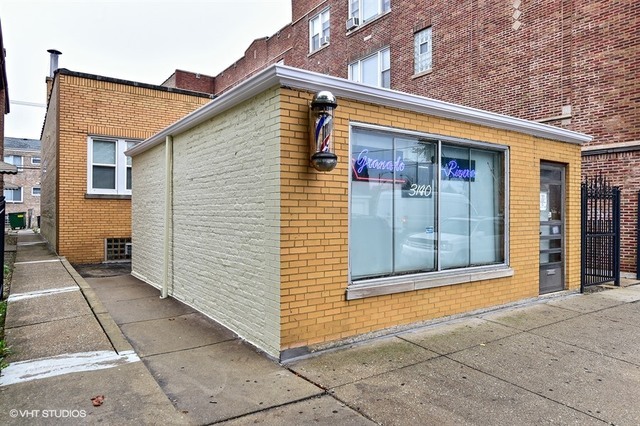 Fantastic Live/Work option located half a block from Belmont avenue. 2 Bedroom Brick Bungalow with a separate building originally used as a barber shop. Currently used as a Law office. It has great potential for someone with a home business. Hair Salon, Accounting office, Chiropractor, Tax preparation, Photo Studio, Artist space, you name it. Zoned B3-2. The Bungalow has hardwood floors and an open floor plan, full basement, family room used as an office and a 2 car garage. Listing agent is related to sellers. Cash or conventional financing.